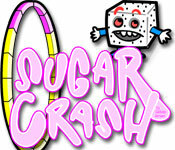 Use Mr. Sugar to bounce the baby for fun, joy and laffs! Be sure and put him down for a nap before his sugar crashes.Don't let your sugar crash!Use Mr. Sugar to bounce the baby for fun, joy and laffs! Be sure and put him down for a nap before his sugar crashes. Keep an eye on his blood sugar so it doesn't get too high.